Home Science & Society Is FreeBasics A Threat To India’s National Security? Is FreeBasics A Threat To India’s National Security? You must have seen full-page newspaper ads from Facebook asking to support Free Basics. Reliance Communications is Facebook’s sole telecom partner in India to offer a set of basic internet services free to its subscribers. The service is called Free Basics. Earlier known as internet.org, Free Basics has been criticised by several experts as being against the spirit of net neutrality. 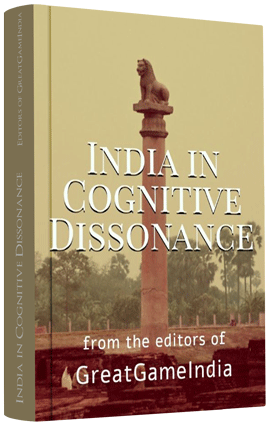 While Indians are being bombarded with full-page ads on Free Basics by Facebook and Reliance it is important to understand this issue in context to the Digital India campaign under the shadow of the much wider Information Warfare. After the revelations by Edward Snowden the resulting investigation found that USA itself was under surveillance attack by the Israeli companies and by learning from their mistakes they took steps to strengthen their security laws thereby reviewing those company contracts. Ironically, these same Israeli companies under investigations by the US agencies are being welcomed with open arms by the Indian government. The Indian government is planning to grant the communication infrastructure installations contract to these same companies under Digital India Smart Cities program. 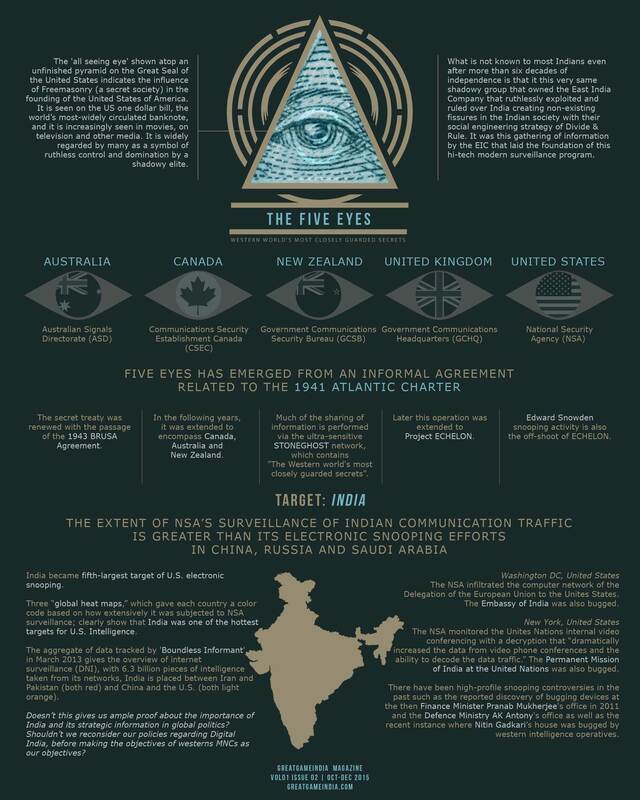 The same Israeli surveillance firm Verint Systems is set to get a contract from the Indian Department of Telecommunications for mass surveillance to facilitate government interception of encrypted electronic communications. India’s then UPA communications minister Kapil Sibal met Verint’s leadership team in Israel to “devise interception tools for tracking encrypted communication services.” Verint expressed a “desire to work with the government to intercept all forms of encrypted communications.” The Indian government had “identified 15 forms of encrypted communications, including Google’s Gmail, RIM’s Blackberry services, Nokia’s email offerings, Yahoomail and Microsoft Skype, among others, that it claimed could not be tracked by Indian law enforcement agencies.” This is just one of the many such case studies that demonstrate clearly the Indian government’s lack of understanding about even the basic tenets of information warfare. Sadly, without any concept of a comprehensive national security what is at stake is the very sovereignty of our country. Since the communication infrastructure systems became the foundation of the national critical infrastructure like power grids, transportation, and water pipelines etc, disrupting this communication system will cause a domino effect that would lead to major a catastrophe. Historical evidences tell us that these communication systems helped the British to maintain its hegemony for more than two decades through its postal services or radio and telecommunication systems. These technologies are part of Hugill’s larger exploration of the “commodification of information in the service of society and the state”. He said information is the power and who controls it will control the power of decision making. Governments should be crystal-clear about the conditions where telecom firms approach a national market of telecommunication and has to review the security issues. That means demanding to know where the hardware components and software come from; requiring intrusive random inspections of code and equipment. India has no effective system of supply-chain checks. The threat posed to India’s National Security interests by vulnerabilities in the telecommunications supply chain is an increasing priority given the country’s reliance on interdependent critical infrastructure systems including the range of threats these systems face; the rise in cyber espionage; and the growing dependence all consumers have on a small group of equipment providers. The communications sector provides the foundation for information exchange for all other sectors including voice, data, video and Internet connectivity. As such, telecommunications systems are part and parcel of other key national security and emergency preparedness resources and are an important component of the overall national critical infrastructure. It is therefore paramount to recognize the importance communications has for national security and related policies. To understand the issue in depth kindly refer to the report Digital India In The Age Of Information Warfare published in GreatGameIndia Magazine Oct-Dec 2015 issue.